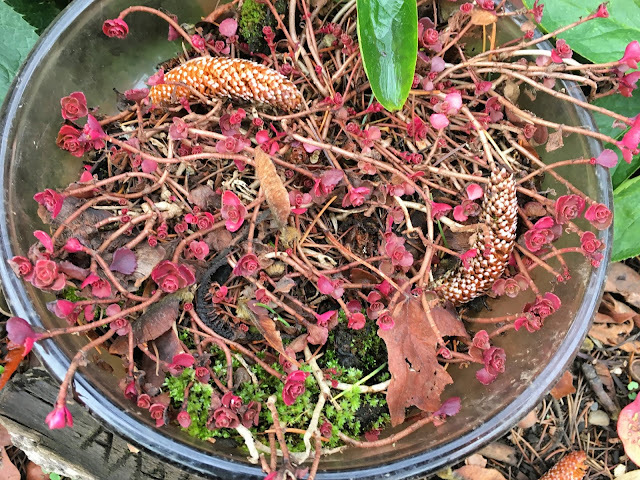 I love it in the fall where beautiful things hide beneath layers of mulch, when things feel messy in the garden, but are just as they should be. Happy Thanksgiving, friends. I actually worked at that the hospital today, which always puts Thanksgiving into perspective for me. I ran into a man in the elevator at the end of my shift today, and he said, "You give thanks where you give thanks, I guess." We don't need a turkey dinner to feel gratitude. Thankfulness exists in the heart, and today is a day to reflect on those things for which we are so grateful. And just like a garden in the fall season, things are just as they should be. Be thankful for today.